more lady tattoo artists! 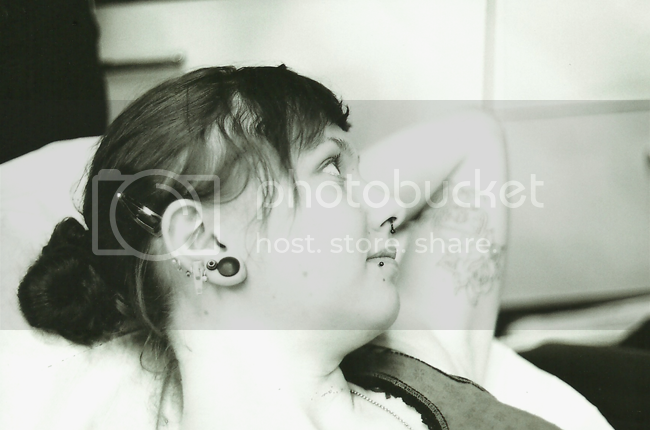 on a june trip to london, i went with my friend E to watch her get tattooed at happy sailor tattoo in shoreditch. our mutual friend worked there, and E had already gotten a tattoo from tota before, so the place was familiar and we knew we could expect quality work. 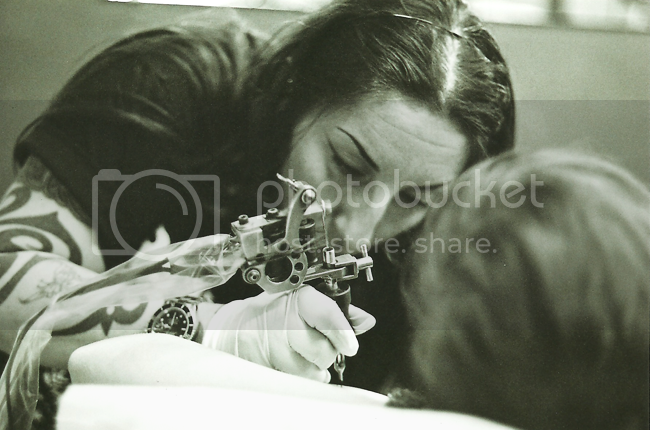 i've begun forming an idea about taking more portraits of female tattoo artists. 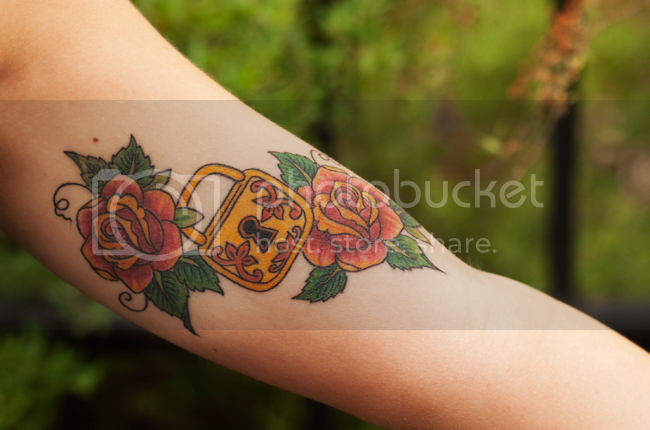 it still seems a very male-dominated field, and women with tattoos are generally frowned upon more than men with ink - especially women who don't fit the "tattooed stereotype". but you were so pretty before! i always forget how fun black and white film can be. i think i should practice with it some more. i love ur photos and blog too!